In a large mixing bowl, whisk together eggs, 1/2 cup milk, 3/4 cup melted butter, granulated sugar, yeast, 1 teaspoon salt, lemon zest and nutmeg until well combined. Stir in flour until well combined; turn dough out onto a floured surface and knead lightly (dough will be sticky, but resist from adding extra flour) for about 2 minutes. Place in a large buttered mixing bowl, cover with a towel, and allow to rise in a warm area for 1 1/2-2 hours, or until doubled in bulk. In a medium sized mixing bowl, stir together brown sugar, nuts, raisins, cinnamon, 1 teaspoon vanilla, orange zest and juice, and 1/4 teaspoon salt, until well combined. Butter a large sheet pan. Turn dough out onto a lightly floured surface, and roll into a rectangle (using a floured roling pin) with about a 1/4-inch thickness; spread nut-raisin mixture evenly onto dough, leaving a 1-inch border. Place the baby randomly somewhere. Roll up the dough lengthwise, jelly roll style; place on sheet pan and form into a ring. Cover with a towel and allow to rise in a warm area for 45 minutes or until doubled in bulk. Preheat oven to 350 degrees F.
Bake for 40 minutes at 350 degrees, or until golden brown. When cool, prepare the frosting: in a medium sized mixing bowl, using a mixer on medium speed, beat together 1/4 cup butter, confectioners' sugar, 2 tablespoons milk, sour cream and 1 teaspoon vanilla until well combined. Spread frosting over king cake. 58 comments on "King Cake"
This looks amazing, just as good as the ones we used to order straight from LA! Next year, we are SO on! Beautiful! So festive, and I love the swedish fish idea... Happy Mardi Gras! this cake is definitely fit for a king...I'm LOVING it!!! i think you should make a new tradition. whoever gets the plastic baby, should get to eat the whole cake. ok so maybe that's not my best idea of the day, but it's early. there's still hope. Wow! What a loaded bread cake :). Love all of those ingredients. Us mexican folks also have a cake for 'rosca de reyes' aka (king cake) that we put a plastic baby in for good luck and eat on wise men day around new years. I've never had a king cake before, but yours looks beautiful! I asked my boyfriend Todd last night if he wanted a King's Cake for Mardi Gras, and he told me, "No, but I'd like some beads." Seems like you two are on the same page with the beads! Anyway, I want a King Cake, and I'm so glad you posted this recipe. Your filling sounds divine. Can't wait to try it after I get home today! Sounds like quite a party, Emily. I've never tried a King Cake. The recipe sounds so tasty and it's so colorful. Another good option to the plastic baby is an almond. It's actually more traditional, and doesn't require any melting considerations. The cake looks good, I've never had one before. I'm a little far north for such things to be common, even this time of year. That's a really beautiful cake. I love the idea of the Swedish fish! I want to celebrate Mardi Gras too. Count me in for the party in N'awlins next year. My office used to do a party every year until we were acquired by a public company and we now had to follow protocol about wanton revelry in the office during business hours. I made a great gumbo one year (courtesy of Emeril) with chicken and andouille sausage. No seafood and I didn't feel the least bit guilty about it! I was planning to do gumbo and bread pudding for the next year's party and then the party was pooped by the corporate overlords. no creepy plastic baby picture? The king cake looks GREAT! Is it really Mardi Gras already!? Living on the west side of the country, I'm so out of the loop. Your King Cake looks beautiful. I've only had it once in my life, but yours sounds tasty. 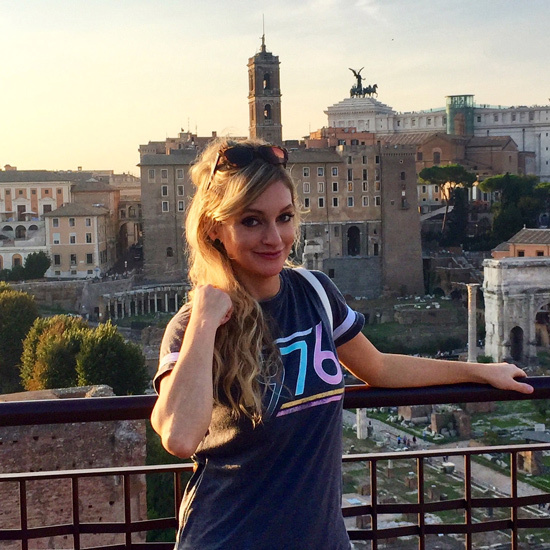 Love the trip idea to New Orleans. I've never had King Cake. If it is bread, I'll like it. The lemon zest and nutmeg should make it fabulous. That king cake looks great! Happy Fat Tuesday! You gumbo-stirring girl, you. You could compete on Top Chef with recipes like that! that all sounds delicious! the kings cake is so pretty. i always used to look forward to them at school parties for mardi gras, although our school never let the parents bake anything in there cause they were afraid we'd choke. kinda took out the fun. the gumbo sounds great, too. yours sounds so authentic :) i like my gumbo w/o seafood, too. sometimes i'll put in a little shrimp, but i like it most with just a really, really spicy sausage. anyway, happy mardi gras! you know i'm up for NO anytime! totally love it there!!! Well done !What a feast you had. 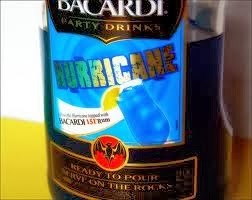 I'll take a Hurricane too. I could so see you getting your beads in New Orleans girl. I love the recipe and I had to read about it today to get your comment yesterday. I am slow I know. oh that's such a festive cake! Happy Mardi Gras indeed!!! BEAUTIFUL King Cake! I made one last week too! I love that you used raisins with the filling! I just saw Andrew Bird in concert...amazing!!!!! I made King cake and gumbo last night, too! :-) Unfortunately, my king cake(s) were not baked all the way through...yep, there was still DOUGH! I was frustrated but toasting the single pieces with fix that...I guess my recipe didn't cook it long enough...or maybe using a cream cheese filling impeded the baking of the dough around the filling. The gumbo was good...and I need to take a picture of it! Happy Mardi Gras! ...food blogger conference?! I think you're on to something! Last time I was in New Orleans, those Hurricanes did some damage (to me). Love the colors on this cake! WOW!!! You should make a million of those and sell them by mail order. If you start now, you might be ready for next year. Can you save me one? King Cakes looks and sounds outstanding but then again, there is very little that you that don't! This looks way better than the leftover King cake I am eating for breakfast this morning! I've seen these in the local grocery store and they are so pretty. I love the way yours looks. So festive!!! I could go for a party right about now! I've also heard that the person who finds the baby is the king/queen of Mardi Gras. Which is a little more fun than having to pay for next year's party. When I was middle-schoolish, someone sent us a king cake as a Mardi Gras gift. The baby got passed around in cakes for almost two years after that- whoever got the baby had to make a cake or dessert for the next family gathering... Until Grandpa was making a cake and the baby sunk to the bottom of the pan while baking, turning it into a gross, bubbly, unrecognizable plastic wad. Oh, such fun! My grandmother always decorated her Christmas stollen similarly to your King cake... so lovely! I've never had King Cake before, but it really sounds great! I love all the flavors in it and it's so colorful and fun! Well I'd have to leave getting the beads to you, I'll just eat!! lol!! It looks very festive and wonderful! I must be pretty out of it. I had no idea what a King Cake was. Looks delicious. Pretty!! I've never made a king cake before. I would say I'll make one next year, but I'm totally gonna be at that blogger party in New Orleans! 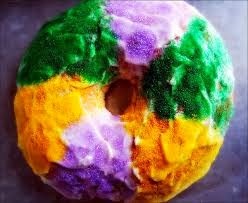 Your King cake looks so festive, make me want to go down to New Orleans and part-ey! Happy Mardi Gras to you! What a beautiful Cake! And the colours you chose are perfect! I love the combo :D.
How fun that we have this kind of cake for the kings day (6th of January) and you have it for carnival... Mmmmmm we also have the little figure inside (a king) and also a little bean. The one that gets the bean pays the cake! I like any vacation where the goal is to eat! i'm totally game. count me in on mardi gras 2010. such fun that you made a king cake! Oh yes! I would definetly go with you!!! Your cake looks so cute and colorful and I would love to see a picture of the poor fish inside! Lovely flavours you've picked! And I think you are onto something with that food blogger conference in NOLA! I've always wanted to make one of these!! And you should be able to find a little baby at Wal-Mart where they sell the wedding stuff. I had to get them for a baby shower once, and that's where I found them. Although I agree that I wouldn't want to be the one to get the baby! So festive - I love it! This really look so beautiful and colorful. Looks delicious! Way to go. "I went plastic baby shopping"- classic. So colorful and good looking! Funny and delicious! That cake looks great. And sign me up for a foodie adventure in New Orleans! wow your cake is crazy! i love it!! it looks so fun! I lived in New Orleans about ten years ago, before moving to Canada, and have always missed king cake! My dad does an amazing job with the other classics, like gumbo and jambalya, but the king cake is lost on him. Thanks so much for posting an easy to follow recipe! p.s. your post is my favourite!